Love the scent of a real xmas tree but hate the additional mess a real xmas tree makes? 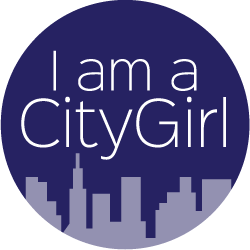 Well... this post is just for you! Last weekend I went into town to do a bit of christmas shopping and happened to spot Scentsicles in John Lewis. 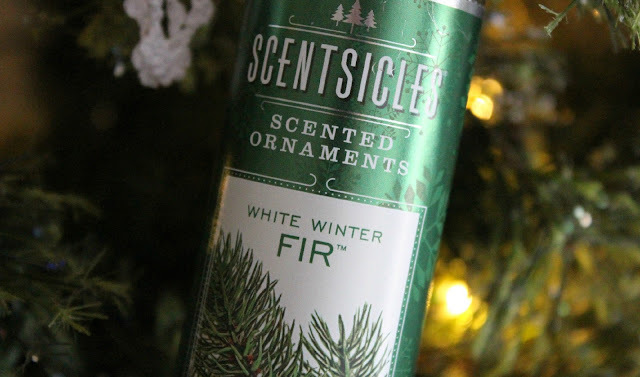 I'd never really thought about making my artificial tree smell like a proper traditional tree if I'm honest. I love the idea of having a real tree in my house but the reality is that most real trees create a lot of additional mess to the festive season by shedding their needles. Scentsicles are little sticks of xmas scent that you pop in your xmas tree to add some festiveness to an artificial tree. 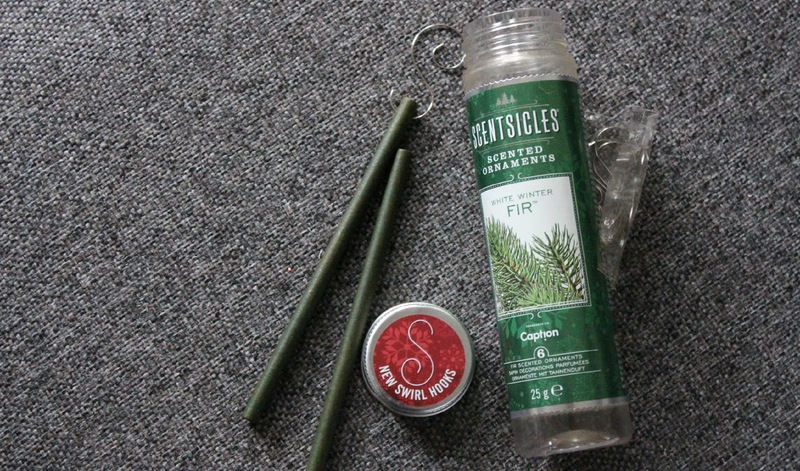 All you do with Scentsicles is attach the small rods of scent to the provided hook or just plonk them in the tree like I have! Once they are in situ they then release a gorgeous scent throughout your house,adding to the xmas feeling! It really does work.. the Mr has commented a few times since I put the tree up, saying that it smells just like he imagines xmas to smell! You can purchase Scentsicles from John Lewis,Wlikos or Amazon for around £6. You can also purchase them from the Scentsicles website but, just as a warning, it is a US based website so its unlikely that you'll be able to have them delivered before the big day. The rods come in Fur,Snow Berry,Christmas Time Spruce or Cinnamon scent depending on which flavour your fancy! Have you tried out Scentsicles before? 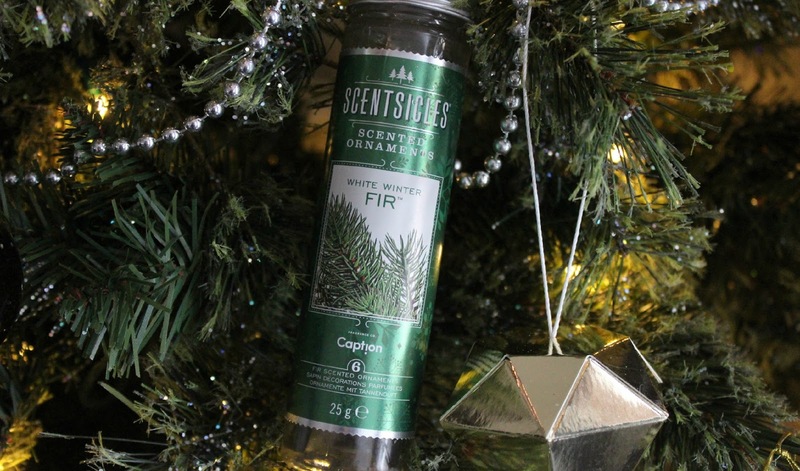 What do you think of the idea of an artificial tree smelling like a real one?